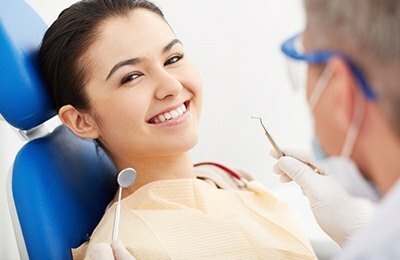 While dental emergencies can strike anyone at any time, our patients who commit to regular preventive care appointments usually experience fewer problems over the years. Professional cleanings with a registered dental hygienist allow us to take a proactive approach with your dental health, addressing issues while they are small and potentially avoiding damage altogether. Despite your best efforts, deposits of mineralized plaque, also known as tartar, adhere to areas of the teeth. These deposits create a nice home for millions of harmful bacteria. Left unchecked, they flood toxins into the gums, resulting in devastating chronic problems and even the loss of teeth. When tartar is removed at your professional hygiene appointment, it doesn’t have the opportunity to produce irreversible damage. We use professional instruments and prescription strength polishing paste that gently buffs away stain and plaque, leaving your teeth ultra-smooth and shiny. Since discoloration settles into the enamel of your teeth over time, this helps slow yellowing while maintaining a glassy surface for better cleaning as well.